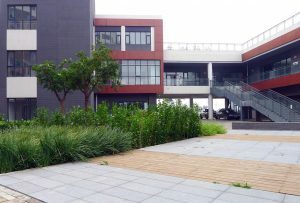 The start-up area within Caofeidian Eco-City features the type of coastal residential area, aiming at an ecological community of rather modern architecture with high-level landscape design. 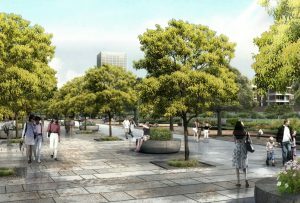 Ecological principles have been guideline of the landscape design. 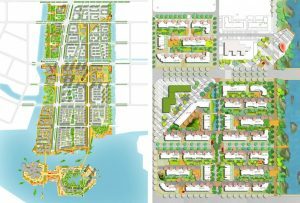 Main goals of the planning have been: Desalination of the soil and effective soil improvement, appropriate choice of plant species, and enhancement of the microclimate. 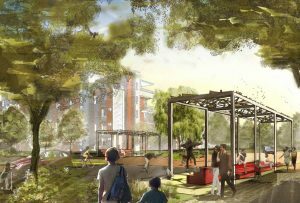 Besides providing multi-functional places for outdoor activities and communication and distinctive garden spaces with specific plant configurations, the design also aims at educating in ecological science by directly integrating people in learning and experiencing eco-technologies. 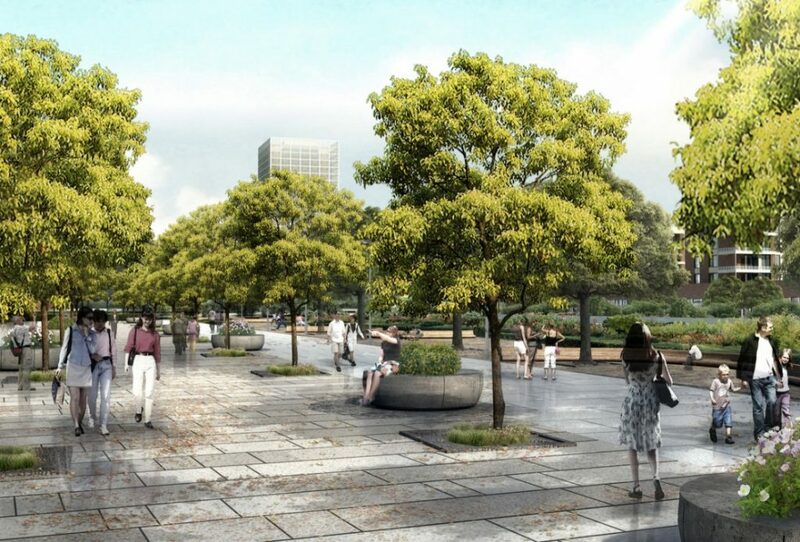 Tangshan Caofeidian International Eco-City Recycling Economy + Eco-Development Investment Co., Ltd.
Continue reading "Caofeidian Eco-City | Landscape"
The connection between site and surroundings always plays a critical and guiding role. 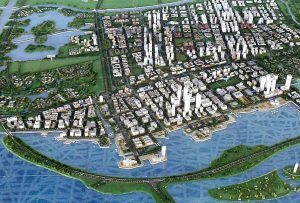 In Caofeidian Eco-City this aspect is expressed in the overriding design idea of ‘From Mound to Sea’. The sea has a direct environmental and cultural significance to the site, influencing the physical conditions as well as the lifestyle of the residents. 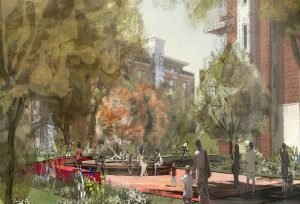 Several challenges existed on site that have been capitalized and overcome with sound, sustainable design tools. 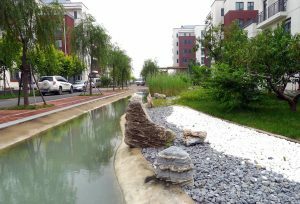 Among them, the storm water management system plays an outstanding role at many levels: Firstly, it helps to capture and clean the runoff, and – where possible – reuse it for artistic water features and irrigation of the urban green spaces. 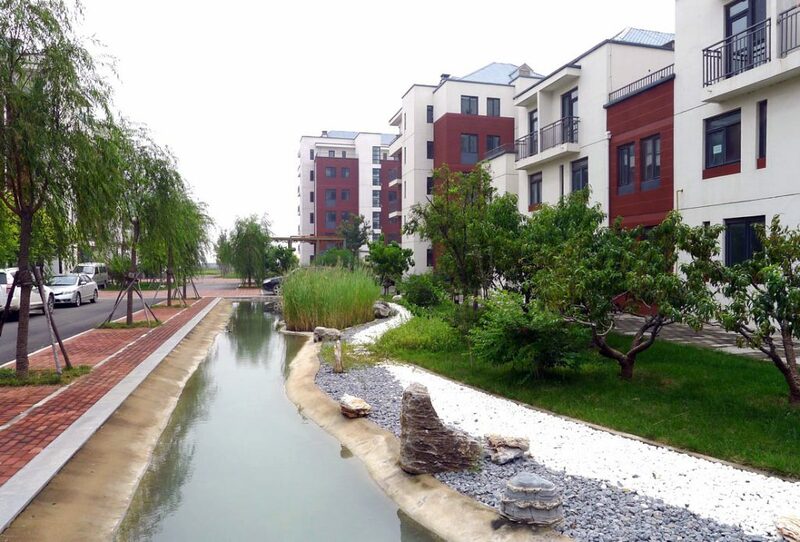 Secondly, the presence of water in surface storm-water management features, such as bio-retention swales and cleansing biotopes, will help to improve the local microclimate, the air quality and the overall temperature. 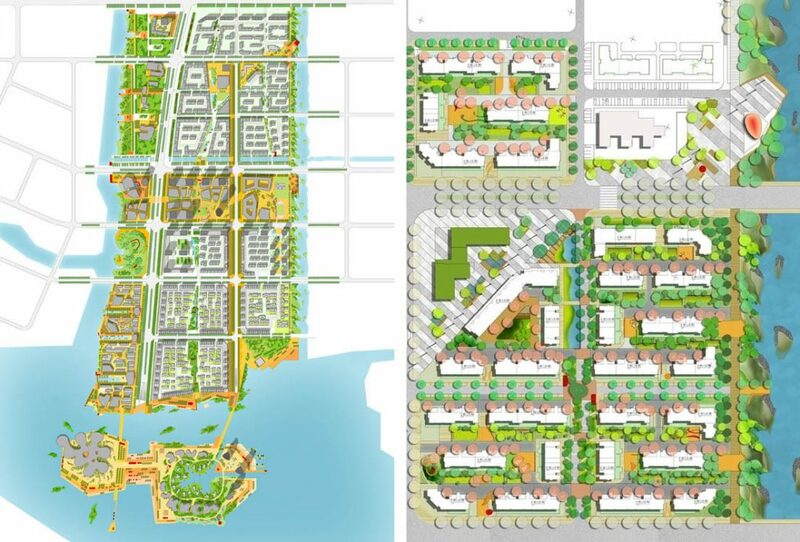 Thirdly, by establishing a connected storm-water system which encourages surface drainage and vegetation growth, the design helps as a whole to improve bio-diversity – even within a rather dense urban area. 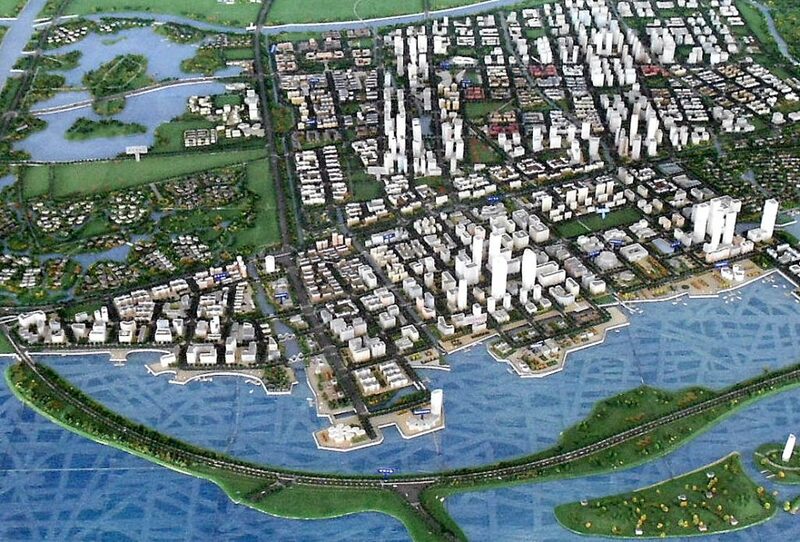 Apart from that, the site has marine conditions with direct influence from ocean salt water to the groundwater. In order to achieve the desired aesthetic and environmental quality, local soils will be amended over time by allowing constant infiltration of storm water down into the ground and stopping the upward movement of saltwater from the sea. In Caofeidian Eco-City, urban design and storm water management are intrinsically linked, each one influencing form and function of the other. The urban spaces are “living eco-machines” which improve the environment as well as the life quality for the residents, all through simple yet aesthetic design features. 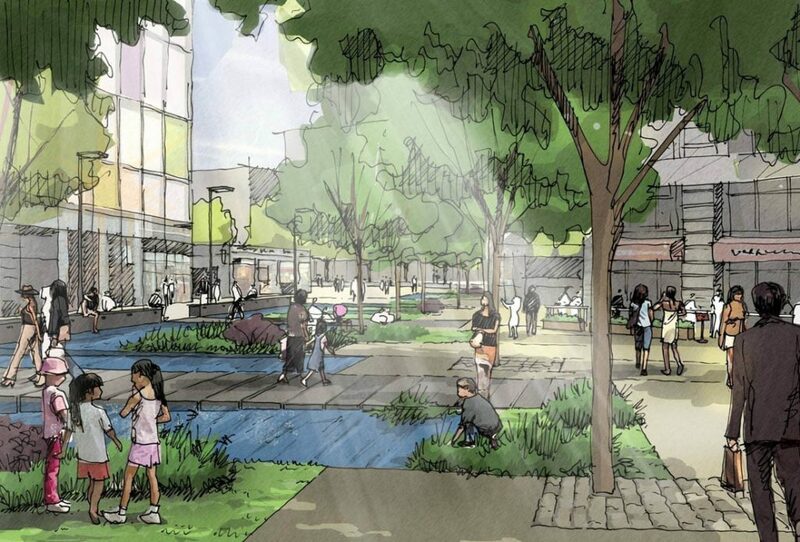 Pedestrian Boulevards are linking a series of public open spaces as urban axes. 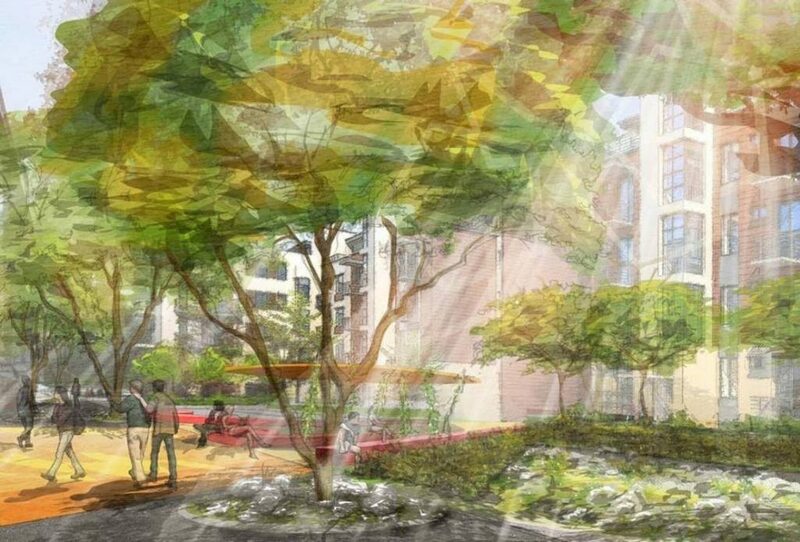 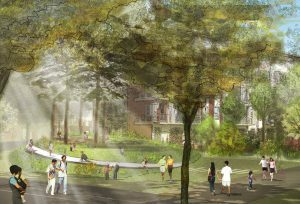 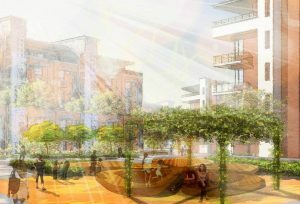 Public and private areas are joined by human-scale transition areas – in the form of open courtyards, landscape park corridors, or artfully shaded pergolas where residents can gather. Distinct design features strengthen the individual character and identity of each cluster. 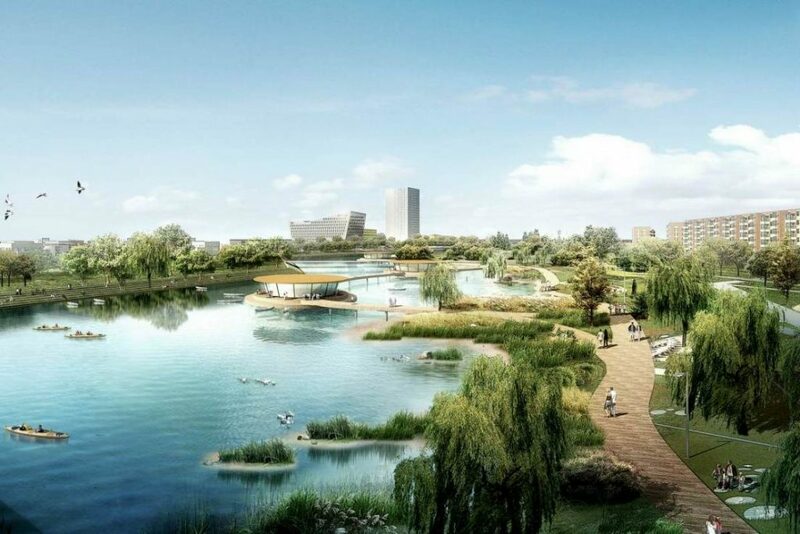 The start-up area of Tangshan Eco-city is a prototype for holistic sustainable design combining functional and aesthetic urban spaces with an integrated and ‘on-the-surface’ water management system.